SXSW starts tomorrow! I know, we can’t believe it either. In its honor, we’re featuring four artists who’ve got that extra something in our last Four on the Floor before SXSW Music 2016. Check them out and squeeze them into your schedule. Anderson .Paak, formerly known as Breezy Lovejoy, is a singer, rapper and producer who started making music when he was just a teenager. In 2012, he was chosen to drum behind an American Idol contestant, and has been moving up in the California music scene ever since. He dropped his album, Malibu, back in January. It combines his soul background with contemporary hip-hop, and has sparked comparisons between Anderson and Kendrick Lamar for their conscious lyricism and raspy vocals. 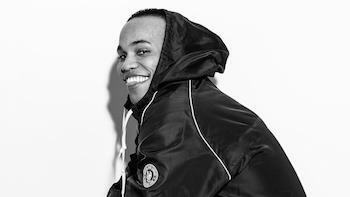 Anderson .Paak has recently been featured on Macklemore and Ryan Lewis’ This Unruly Mess I’ve Made, Dr. Dre’s Compton, The Game’s The Documentary 2, and a remix of British songwriter Jack Garratt’s single “Worry.” As of January, the rapper is currently signed to Dr. Dre’s label, Aftermath Entertainment. The future looks very bright for Anderson so make sure you catch his showcases. 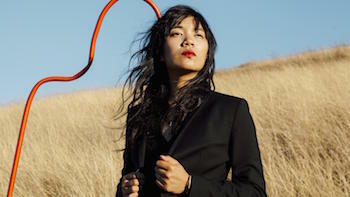 Indie rocker, Thao Nguyen, backed by her band, The Get Down Stay Down, are making waves with their new inventive album. The fourth full-length record for the band, A Man Alive, dropped last Friday. 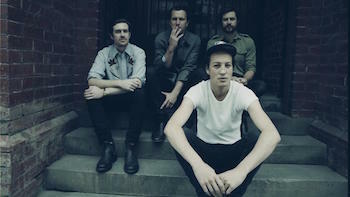 The album features pop and hip-hop elements, and steers away from guitar arrangements to offer more manipulated sounds. The songwriting includes some heavy and personal lyricism from Thao, and explores how unaware we can be of other people’s struggles and grief. Its sound, though, is quite the opposite, with vibrant and whimsy dance beats throughout. Raised on Maori music from his mother and Gram Parsons from his father, Marlon Williams’ sound is a cohesive pool of alternative country, bluegrass, and folk-rock. His background as a church choirboy brings a drop of soul into his voice, making his young age of 24 seem almost unbelievable. His self-titled album was released internationally in February on the independent record label, Dead Oceans, to high acclaim. His lyrics are traditionally folk in that they tell a story, following various characters with ease. With three different sets, you’ll have a chance to check out Williams and his three-piece back-band, the Yarra Benders. 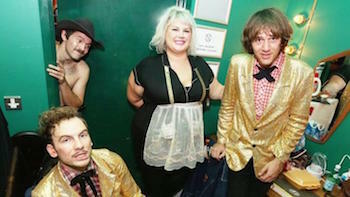 Our favorite garage rock meets vintage fifties doo-wop group is headed to Austin. The trio is comprised of lead vocalist and bass player Shannon Shaw, guitarist and vocalist Cody Blanchard, and keyboardist and drummer Nate Mayhem. Compared often to Buddy Holly, their newest album, Gone by the Dawn, features a slew of emotion and raw honesty. Brooklyn music blog Still In Rock calls their shows “among the best in the world” so you don’t want to miss out on their Wednesday and Thursday sets.